Some folks have skeletons in their closets. The Waters have toilets. Jake’s mortified by his dad’s dream to open the American Toilet Museum. Toilets have caused enough turmoil in Patience, Kansas. Patience has been cursed for 129 years, since Jeremiah Waters installed the first flush toilet. The Dolphin Deluge Wash-Down Water Closet caused a stink, and since then Patience has been drying up like a cow pie in August. 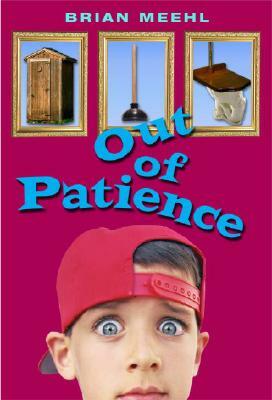 Jake wants out of Patience, especially when his dad gets a relic for his museum, triggering the curse’s last promise: “The day the Plunger of Destiny returns to Patience, the final destruction begins!” Can Jake save Patience by discovering what happened when Jeremiah last sat on the Dolphin Deluge Wash-Down Water Closet? Brian Meehl was a Muppeteer on "Sesame Street "and has written many children's television shows. This is his first novel. He lives in Redding, Connecticut. "From the Hardcover edition."